All correspondence will be sent to the first-named author unless otherwise specified. 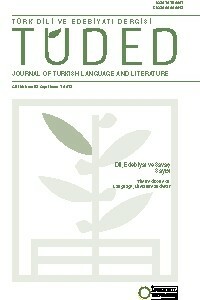 Manuscript is to be submitted online via http://tuded.istanbul.edu.tr/en/_ and it must be accompanied by a cover letter indicating that the manuscript is intended for publication, specifying the article category (i.e. research article etc.) and including information about the manuscript (see the Submission Checklist). In addition, a ‘Copyright Realease Form’ that has to be signed by all authors must be submitted.